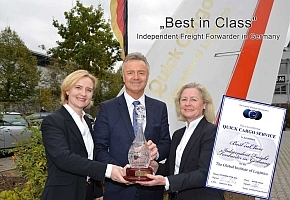 Quick Cargo Service Germany has been named the benchmark Independent Freight Forwarding Company in Germany. The announcement comes as a result of the Institute’s findings from its research study Independent Freight Forwarding in Global Logistics. The purpose of the research is to investigate the increasing trend by Beneficial Cargo Owners (BCO’s) to outsource the management of their global freight and logistics requirements to independent freight forwarders. Quick Cargo Service is one of the top ten owner-managed IATA forwarders in Germany. Founded in 1974 by Dieter Haltmayer, today the company is represented in Germany by ten branch offices at key locations, along with international presences in Amsterdam, Rotterdam, London, Basel, Zurich, Copenhagen, and Warsaw. 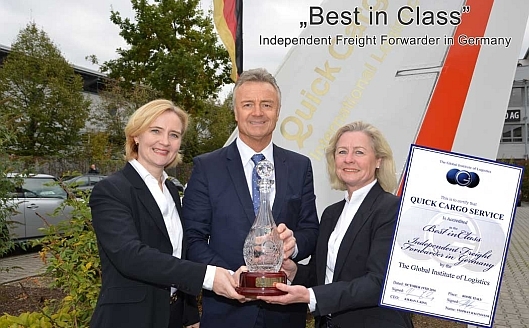 Quick Cargo Service is the first independent freight forwarder to achieve ‘Best in Class” accreditation from GIL as has been given that honor in recognition of the esteem in which the company is held both in Germany and globally. The Best Practice of connecting with agents worldwide. 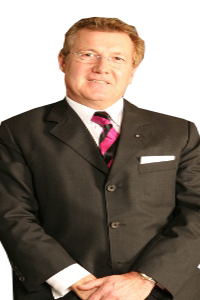 From its inception QCS through the pioneering work of Dieter Haltmayer has traveled to the main production markets of the world to build up relationships with both the cargo owner and freight QCS was the first small forwarder that operated Germany-wide and invested in overseas business trips. The Best Practice of co-purchasing with fellow agents to remain competitive with multinationals. 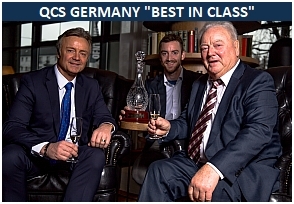 IGLU (The Interessengemeinschaft Luftfracht, German for, “association of common interests in airfreight“) is regarded globally as the benchmark in co-purchasing and is a testament to the vision and leadership of QCS and Dieter Haltmayer in particular. The Best Practice of bringing together freight forwarders to create networks. 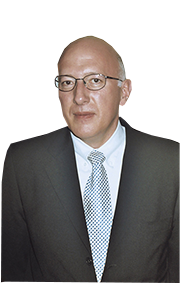 Dieter Haltmayer formed the ‘Air Service Group’ in 1976; ASG was a network of agents at all German airports. This practice of alliance development has continued throughout the company’s history, the formation of the Aerospace Logistics Group which concentrates on aircraft spare parts in 2007 by QCS under the supervision of Stephan Haltmayer is a testament to this. 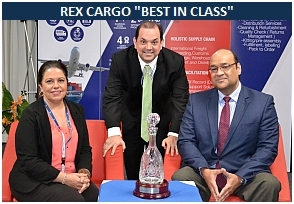 “I am delighted to present Quick Cargo Service with its accreditation as Best in Class, I have worked very closely on the research which informed our decision and am in no doubt that in QCS the Institute has identified one of the world’s leading independent freight forwarders. The story of the company’s development is inspiring and demonstrates how by adopting a customer first, market aware approach independent freight forwarders can not only survive but thrive in the global marketplace. 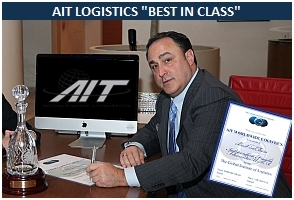 “It is our privilege at QCS to be the first “Best in Class” independent freight forwarder to be accredited by the Global Institute of Logistics. It is humbling to join the ranks of other great German companies who have achieved this honor, like Hellmann, HHLA and Hamburg Port Authority. 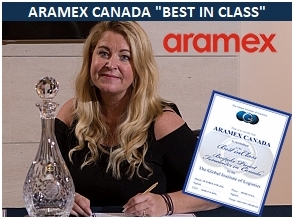 I very much look forward to collaborating with the Institute on the development of our case study and to working with the other ‘Best in Class ‘forwarders from around the world in building up the knowledge base around best practice. 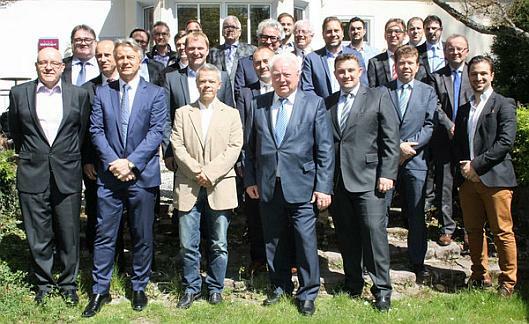 IGLU MEMBERS PICTURED AT ITS AGM IN FRANKFURT IN 2016. 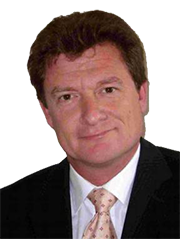 In the year 2000, Dieter Haltmayer established IGLU AIR CARGO GmbH as a joint venture of 19 German forwarding agents. At a time of globalization and mergers, these 19 agents came to the conclusion that medium sized forwarders could only be competitive if they combined their cargo for negotiations with the carrier as far as rates and capacity were concerned. Cargo is forwarded in containers or on pallets and IGLU makes capacity commitments with airlines for particular flights on specific days. IGLU members benefit from the advantages of competitive rates and faster clearances at the destination because containers and pallets are transferred to a neutral break bulk agent right after landing. IGLU members maintain their individual relationships with carriers. IGLU is simply a tool with which to obtain better purchasing rates. Airlines benefit from having a single point of contact, instead of having to negotiate with 23 individual companies. Today, IGLU members load 1800 tons of airfreight every month to 80 destinations around the world, matching the levels of multinationals. The following report traces the development of IGLU. 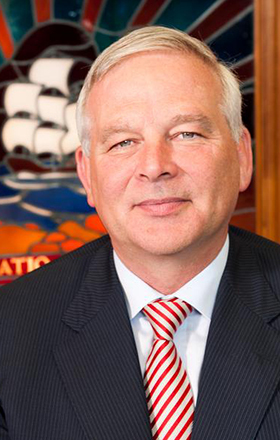 In May 1999 Wilhelm Althen, the influential chairman of Lufthansa Cargo, had prophesied a less than rosy future for small forwarders at the annual conference of Cargo Network Services, the US arm of the airlines’ umbrella organization IATA. 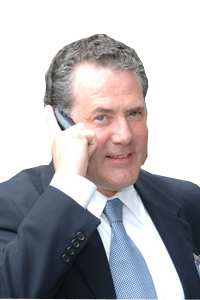 Althen predicted that half of the 3600 IATA agents than in business would have disappeared within five years. 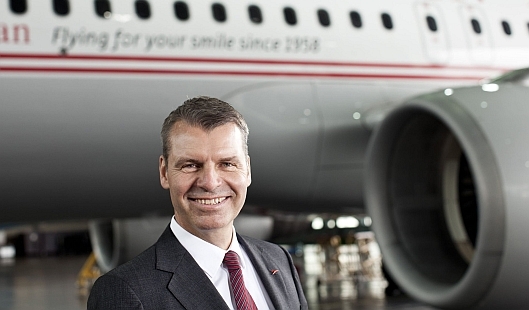 The small players were not capable of surviving according to the Lufthansa chief who would continue in his post until 2007. He claimed the future belonged to the bigger play- ers in the industry and increasingly to the multinationals. The takeover game had only just begun. Althen forecast that in, “three to five years”, between five and seven large groups would control 70-80 percent of international airfreight. 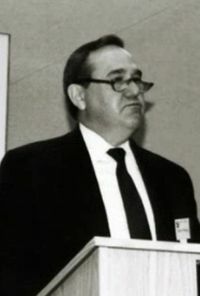 In August 1999 he suggested a meeting, which took place in the rooms of the airport operating authority FAG, attended by representatives from Agotrans, Alpha Trans, Jas Airfreight, Quick Cargo Service and Südkraft. Also in attendance were Willy Korf from the Association for Freight and Logistics in Hessen and Florian Pfaff from Lufthansa. 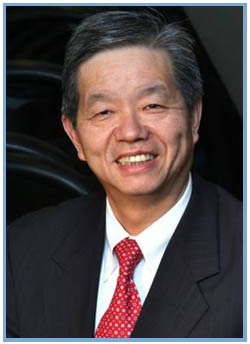 After an analysis of the market situation for medium-sized companies, the five companies came to the conclusion that what counted now, “in the age of globalization, and increasing reports of mergers and cooperations, is to combine our forces and to bring together companies willing to cooperate in an association of common interests”. 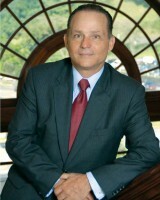 We are competitive in the market again with the same starting point as the major shippers. Guaranteed access to capacity giving our customers confidence. Strengthening of our negotiating position with fixed rate agreements. Securing improved service standards – through pallet mostly runs smoothly, guaranteed departure and arrival times. Improvement of our income through better buying rates. Increased productivity through a more reliable service. On the 17th November 1999 that year the initiators of the alliance invited all interested forwarders to the Holiday Inn hotel in Bad Soden. The response was overwhelming with 69 companies registering to attend. 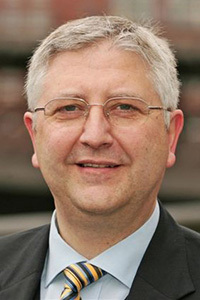 In his opening address, Dieter Haltmayer emphasized that it was time to create a neutral association of shippers and put the airlines under pressure, “our job as forwarders is to advise customers and to choose the best and most affordable transport route, independently of the interests of individual airlines“. But above all back then it was the national carrier Lufthansa Cargo, remembers Haltmayer Jr, “who wanted to go another way”. Reading between the lines of what Althen was saying, he meant: at Lufthansa, we are only interested in the top ten forwarders. They fill 60 percent of our aircraft, and the other 40 percent, handled by 300 forwarders or more, is too much of a headache with all the work it causes. “It cost them too much in terms of manpower”, says Stephan Haltmayer, “they wanted to cut costs and thought the smaller players could load via their larger competitors”. But very few were prepared to accept this. 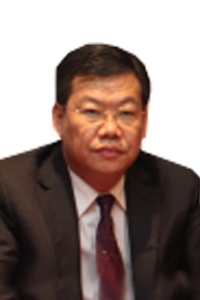 The medium-sized sector’s answer was cooperation. IGLU along with the Future Group and the Challenge Group were three alliances that resisted the strategy pursued by Lufthansa Cargo. However, the individual groups had different approaches. Future and Challenge were cooperations consisting of friendly agents, forwarders on good terms with each other who loaded freight with each other. This concept, as Stephan Haltmayer explains, “was transparent. Every forwarder knew who the customers behind the freight were, the shipper and the consignee. Each member of the alliance was revealing his customer base to everyone else in the group”. And it is, “fatal when the competition knows who my customers are”. Iglu had been built on another idea. Iglu was neutral. It was founded as a purchasing cooperative for volume. The principle was, “to make volume contracts with the airlines. Instead of 10 tons to Hong Kong, Iglu suddenly had 100 tons, a much larger amount. And naturally, these amounts made it possible for us to buy at substantially cheaper freight rates”. The Iglu principle was to make volume contracts with selected airlines, “We buy like a multinational concern because together we have the same volume as the big players. Then these prices are passed on to our members strictly net”. With the Future Group and the Challenge Group freight was loaded onto the pallet for all to see, “a transparent system”. One of the agents might be, for example, the master loader for Singapore, another for Los Angeles, and a third for Sydney or Taiwan. Everyone who has freight for Singapore brings their freight to the master loader for Singapore, he loads everything onto the appropriate pallet and, of course, can see exactly, “that the label is from Siemens, from VW, or there is freight from BASF, from who knows which customer”. The same is true of the forwarder receiving the shipment. He has to distribute the freight amongst the various customers and sees who his partners’ customers are. However, Iglu, as an association of forwarders, makes a contract with the airline but then each member of that association delivers his own freight to the airline separately. So no-one discovers, “which customer is behind the freight”. For the biggest concern of a forwarder is, “that the others find out who your customers are, and what rate they are paying”. With Iglu it is also clear that everyone has the same rate. Back in 1999, it was difficult for the initiators of Iglu to bring forwarders together around a table and get them talking. Everyone mistrusted everyone else. The great merit of the Iglu founders was to plant this thought in the head of medium-sized forwarders, “we need to compete against the big boys, who are ruining the prices for us”. For the medium-sized forwarders to compete meant acting in unison. This was understood by the 19 founder members who signed a member- ship agreement on the 4th October 2000. These original members included: Alpha-Trans in Frankfurt, B & A Luft & Seefrachtspedition in Nuremberg, DACO Air Transport in Dusseldorf, Damco Maritime in Hamburg, Ege Trans in Marbach, Fastsped in Hamburg, FMS MonFracht in Frankfurt, IAS Interfracht Air Service in Bremen, J. Dahmen & Co. in Solingen, JAS Forwarding in Mörfelden-Walldorf, M.G. International Transport in Siegen, Mairon Cargo Systems in Dusseldorf, Pantra Spedition und Consulting in Pforzheim, Quick Cargo Service in Mörfelden-Walldorf, Südkraft Logistik in Munich, TCA Globe Freight Logistic in Hamburg, World Freight in Aschheim Dornach, and Zell and Mohr Luftfracht in Hamburg. Today Iglu has 23 members. 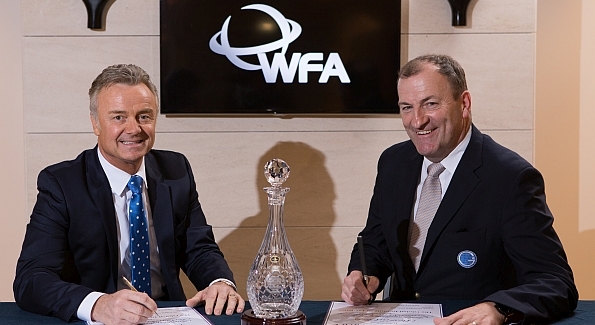 Many a forwarder, says Stephan Haltmayer, would be happy to join Iglu. But the association is not interested in unlimited expansion. But Haltmayer rejects the criticism that Iglu is an elitist club that seals itself off from others, “No, the people who are in now are people who we get along with, people you can talk to. But there are others who are trouble-makers, difficult people who would like to exert an influence. For now, we are steering by feeling so that everything continues to work. Too many voices spoil the broth”. There have been Iglu board members, the 54-year-old recalls, who had ideas to take Iglu in different directions. Instead of just buying freight in bulk, why not products such as waybills, paper, stamps, and courier services? There was even a suggestion to also use Iglu for import, “that was going too far for us, we didn’t want that. And it was for the best. If we dedicate everything to Iglu, then we become too dependent on it”. Iglu is a good concept just the way it is. “The strength of Iglu”, says Stephan Haltmayer, “is in the association, the strength of each member is in the focus on medium-sized business: our customers are usually not big multi- nationals, our customers are predominately medium-sized businesses. We understand their philosophy much better than the multinational forwarders, who work better with firms of their own size like VW, Bosch or BMW. It’s like the difference between Champions League football and Bundesliga football. The multinational firms with offices worldwide play in the Champions League. We medium-sized forwarders play in the Bundesliga. Quick Cargo itself is in the top half of the league, as one of the top ten owner-run IATA forwarders. This is the area where we are active, and these are the kind of customers that we serve”. This certainly does not mean though that Quick Cargo never takes a place at the top table. Around Christmastime 2013 the company shipped windshields to Mexico when VW was threatened with an assembly line standstill. In such cases, this kind of freight needs to be flown because a halt in production would be hugely expensive. 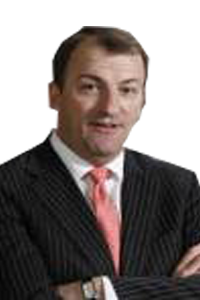 “But”, as Stephan Haltmayer stresses, “you are only ever as strong as the rates you can offer”. Quick Cargo alone naturally cannot match the freight volumes of a Schenker or Kühne & Nagel. But when all 23 Iglu members are taken together, they can boast of a comparable volume to Schenker. Iglu belongs to the top ten of the “Bundesliga” and is one of the ten strongest IATA agents in Germany. A forwarder only really gets to show his service standards when something goes wrong, “and there is always something that can go wrong: a plane has a damaged engine, customs stipulates certain conditions and then the customer needs a reliable contact person. But when he calls the multinational forwarder to be greeted by voicemail, or asked to press a sequence of buttons by the voice of a computer to be directed further, then the customer soon says, ‘My God, what kind of service is this?” With the medium-sized forwarder, emphasizes Stephan Haltmayer, there is a real human being answering the telephone and able to give the customer information. Someone who can help. That is the difference. According to Haltmayer, the Iglu members benefit from a discount on freight rates of between five and ten percent, depending on the details of what is flown, “the investment in Iglu has definitely paid off”. The organization is financed through a monthly membership fee of around 1000 Euros, varying according to the number of branches a member has. Each additional branch office costs 50 Euros on top of the basic fee. Iglu’s monthly income of 23,000 Euros covers the salaries of its four staff and other costs. It is a non-profit organization. The members do not want Iglu to make a profit but to help them make a profit. Asked whether medium-sized forwarders need Iglu to survive, Haltmayer answers slightly evasively, “there are many who survive without Iglu”. But in the long run, the purchasing cooperative is certainly important. Profit depends on the buying rate. If one can earn more, then one can also invest more and consequently grow further. For this reason, Iglu makes a difference and is very helpful. Quick Cargo has benefited from Iglu tremendously. Since Iglu’s foundation in 2000, Quick Cargo has, “really taken off”, say both Haltmayers in unison. But it was certainly not Iglu alone, there were other factors too. Stephan brought new momentum into the company as a young entrepreneur, and he also, “learned from me how to be a salesman”, adds Haltmayer Sr. This led to many new contacts abroad. The Euro also replaced national currencies in many parts of Europe, making payment transactions much simpler. They are both in agreement, “that we also already had a team that was much better than the average in the industry”. Beneficial Cargo Owners (BCO’s) are global in their approach to sourcing and distribution and as a result, outsource to freight forwarders who can provide global coverage. Therefore for independent freight forwarders, membership of a global network is crucial. Network membership enables freight forwarders to form relationships with other freight forwarding companies, gain access to their resources and link with their activities all critical in connecting BCO’s to international supply and distribution networks. More crucially networks can drive better pricing. On both fronts, QCS is the pioneer. Combining their resources and activities with those of other freight forwarders QCS customer's materials moving faster at lower costs with superior customer service than competitors.The networks are the extended arm of Quick Cargo abroad. “A multinational concern”, explains Stephan Haltmayer, “has its own offices throughout the world. That is something we do not have. What we have are partners abroad, agents who work together with us”. This is the story of the QCS approach to network development and membership. If Quick Cargo has a carriage paid shipment to Chicago, then we need a partner there who works just like QCS, who receives the freight, takes care of customs clearance, and delivers it to the customer. All the costs involved are paid by the shipper. Equally, the forwarder in Chicago also needs a partner in Frankfurt. He might have a customer whose freight must be collected in Buxtehude, and so he says, “Haltmayer, fly it to Chicago for me and I’ll pick it up”. Because Germany is a very strong exporting country, it is important for Quick Cargo to have good partners abroad. For a significant part of the freight business is won abroad. Countries like the United Arab Emirates, South Africa, Australia or the countries of South America are buying markets, who consume what Germany produces: cars, machines and electronic equipment. Such products travel in that direction but what comes back are generally products that Quick Cargo did not handle until recently, “We never used to handle perishables, such as fruit, vegetables, and flowers. That is a specialized business for which we were not equipped”, Haltmayer underlines, “You need refrigerated warehouses and there is always trouble with customers when planes can’t take off and goods perish”. There are a few forwarders who have specialized in this business and enjoy a near monopoly status. But recently QCS has made the leap into the perishables market. Once a year the partners all get together at a “Network Meeting” somewhere in the world: a different country each year. The network has an administrator who leads the group and takes care of correspondence and other organizational aspects. One important task for the administrator is to keep track of payments owed by members of the network. As Haltmayer explains, “If I make a contract with Lufthansa, we buy the freight rates via Iglu. For example, 1 euro for a kilo to Shanghai, including fuel and security surcharges, and perhaps a volume of 1:6. If I then load 10 tons, this costs me 10,000 euros. I have to pay this to Lufthansa here up front, and finally, the transport must be paid for by the consignee, the customer who bought the goods. So I send our partner in Shanghai an invoice so that he can collect payment from the customer. However, if my partner is a crook and does not pay, perhaps even disappears with the money, then I have little or no chance to get the money back. Trying to take someone to court in China is effectively pointless. So it is important deciding who to trust with my money”. The outstanding debts that Quick Cargo Service is waiting to be repaid usually total between three and eight million euros. There is nothing exceptional about this, Stephan Haltmayer observes. As a rule, the money is paid back within the time frame expected. Although, as the QCS director has learned from years of experience, from time to time a partner defaults, whether in Pakistan, India or Bangladesh. That’s just how it is. But it is nevertheless frustrating, “that we as forwarders are directly debited via CASS to pay the airlines, whether a customer defaults or not. We forwarders have become the airlines’ bank. We guarantee that they get their money. We collect money for them without receiving any processing fee from the airlines. Then if the customer does not pay, we are the idiots". Stephan Haltmayer stresses that the networks are an excellent instrument to contain such excesses. In the networks, there is an alarm system when someone does not pay. Haltmayer explains, “The partner who is not paid makes a report which goes to all members of the network. The consequence is that the party in default is immediately barred from working with the rest of the network. He might find it difficult to get credit from anyone in the world after this. It’s a warning signal. Or if others in the group also have cargo from him, they can insist that he pays Quick Cargo before they release his freight”. It is also important to meet with these agents regularly, Stephan Haltmayer emphasizes, “We go with them to Network Meetings, take them on sales visits, fly to Rio or Sao Paulo, and try to acquire new business there. We take our partners to potential customers and present our achievements. We work out for the customer: we can collect the freight with an HGV, that costs so much, we take care of export handling, that costs so much. And so on. We have to convince them that we can do it better, that we are quicker, that we have more frequent flights, that we use a different airline which is cheaper or better”. If you can offer the customer a package with better service, and perhaps even undercut his current freight rate, then the chances are good that he will switch to you. “We founded CCA 15 years ago”, says Haltmayer, “because the slumbering dragon that was China was gradually awakening. China was a black hole, no-one knew exactly how freight worked. Forwarding and logistics, that was all new. It was very difficult to find the right partners. 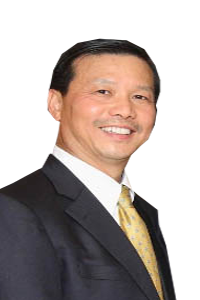 I had a partner in Hong Kong, Daniel Wong, who said, ‘I know the Chinese market, I will look everywhere and find you the best agents in the country. So he traveled through China and nominated 20 forwarders saying, “these are partners that you can work with”. Then the idea occurred to me: I have 20 international firms around the world who do not know how to deal with China. 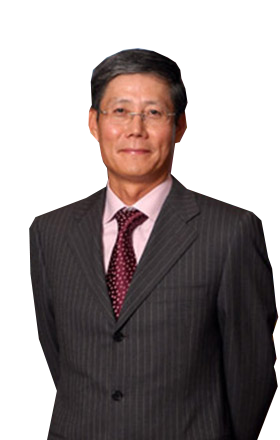 If Daniel Wong brings 20 Chinese companies to the table, then I will bring 20 international agents to the same table, and we can all be of benefit to each other“. 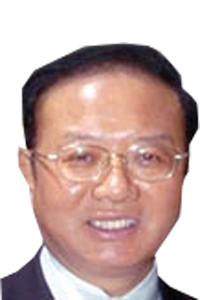 Just one year later, in the year 2000, Haltmayer and his Hong Kong partner organized a meeting in Shenzhen, today’s boomtown in the Pearl River Delta. It was the beginning of a fertile cooperation. “Despite many obstacles, we decided to work together with Chinese partners and to build up the market in China”. It was a bumpy, difficult start. “Most of the Chinese could hardly speak English, and most of them could not travel because they had no visa”, recalls Stephan Haltmayer. Often the Chinese did not even understand why they would need a network. But everyone wanted to be part of this gigantic market that had just begun to open. Gradually things improved. 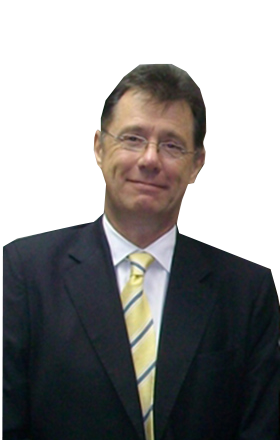 Through the China Cargo Alliance, Stephan Haltmayer recounts, “We were always introduced to new partners. Every year we held a meeting somewhere in this vast country. The Chinese could not leave their land. But now they could meet the whole world without doing so. There were three long days of hard work; it was comparable to speed-dating. You sit at a table and talk for 30 minutes to someone from Shanghai, then comes the next one from Peking, then a third from Guangzhou, one from Shenzhen, another from Shandong and so on. In this way, we got to speak to everyone individually and could make further appointments between ourselves. And so we worked our way into the market”. Now a China Alliance in this form is no longer absolutely necessary. Today the market is established. 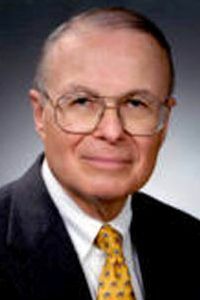 Haltmayer adds, “China is now a country like any other. In the meantime the Chinese have learned good English, they can travel the world and visit us here. It was important to build up the alliance in order to build up the market. It took an organized group to accomplish this. These days the Chinese are cosmopolitan in their outlook. Most of them have made their own contacts outside of the group”. There are also some very specialized networks; Quick Cargo is a member of two such alliances. One founded by QCS is the Aerospace Logistics Group which concentrates on aircraft spare parts. The other is SFS-Pharma. As the name suggests, this group focuses on pharmaceutical products. The logistics services of Aerospace Logistics Group are aimed at the special demands of airlines, maintenance companies, and engine manufacturers. They offer service 24 hours a day, 365 days a year. That is the absolute precondition of this market, in which every minute counts. Stephan Haltmayer offers an example, “At the airport in Karachi, Pakistan’s biggest city, an Airbus is grounded with a defective brake caliper. The airline urgently needs a replacement because there is nothing worse for them than an aircraft on ground (AOG). So we collect the brake caliper from Airbus and fly it to Karachi, regardless of cost, it just has to be quick. The goal is always to use the first plane that will land closest to the destination. If we can no longer get the spare part loaded as freight, then someone has to travel with it as luggage, an onboard courier”. To make all this possible, says Haltmayer, “we need a particular frame- work. At the other end of the world, you naturally need someone who can be there on a Sunday to meet the courier at the baggage carousel, clear the shipment through customs, and bring it to the stricken aircraft. You also need someone working 24 hours a day, 7 days a week. And, if possible, you additionally need someone at the destination with an access permit for the apron, to bring the part directly to the plane. It might also be necessary that the onboard courier has an appropriate visa, for destinations such as China, Russia or India“. To facilitate this kind of transportation the Haltmayers founded another company in 2008: Qualified Cargo Solutions gmbH. 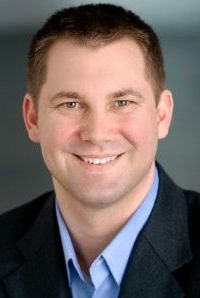 This company works with around 40 partners including agents specializing in round-the-clock service and who, in Stephan Haltmayer’s words, “also know what this kind of service involves”. This means things like ensuring that the HGV that collects a replacement engine and brings it to the airport has an appropriate chassis: with an air-suspension to absorb potential vibrations. “But as soon as the engine is on the airplane”, continues Haltmayer, “the shock-absorbers must be rigid. The engine must on no account wobble around in the plane”. If this regulation has not adhered to the air- line will not accept the engine and send it back for a complete overhaul. This was more or less the birth of Aerospace Logistics. The group exhibits at four different trade fairs where aircraft spare parts, among other things, are marketed. “We have our own exhibition stand”, says Haltmayer, “Where the customers sell their spare parts, we sell the logistics to go with them, in Singapore, Dubai, London and Phoenix”. Presence at these trade fairs is one thing that distinguishes the Aerospace Group from regular forwarders. SFS is another group targeted at very specialised products. 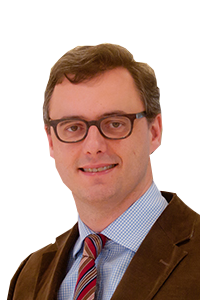 According to Stephan Haltmayer SFS, “is a network of pharma-forwarders, who have to meet very specific demands”. For the transport of blood plasma, clinical trials, sperm, vaccines or even radioactive material a continuous cold chain has to be maintained within specific, guaranteed temperature limits. To attain this high level of quality and reliability, special equipment is needed: refrigerators, dry ice cool boxes, and data-loggers. This latter item is a sensor packed with the transport boxes which records the exact sequence of temperatures from the initial hand- over of the freight to eventual delivery. Aviation and pharma, Haltmayer explains, are niche markets as opposed to the general cargo which we deal with every day: general cargo represents 90 percent of our freight”. This includes all those things produced by German industry or whatever is “made in China”, or, latterly, ever more often “made in Vietnam”. Niche markets are goods like cars, ship spare parts, aircraft spare parts and anything which is “time-definite”. “Here you need a partner in every location abroad, who knows what the service involves and who can handle it for you”, says Stephan Haltmayer. “To survive it is important to have these agents abroad. We are in Germany, our business is abroad; all our transportation involves third countries. In Europe almost everything is transported by road, everything over 1000 kilometers is air freight”. This is the reason, “why we are always on the lookout for the right partners around the world”. As a rule, Quick Cargo also uses the Network Meetings to seek partners, “this way we save a lot of time and money”. The 54-year-old explicitly emphasizes that these alliances are all non-profit organizations with the sole aim of organizing and transporting freight by plane or ship. For the most part these alliances are administrated, “Generally we have an administrator who does the work and whose salary is funded by the membership fees. I can’t just do it in my spare time”. 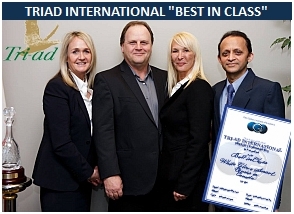 The Institute meticulously checks partner and customer references in advance of accrediting independent freight forwarders with Best in Class status. The quality of response that we received from the customer and partners of QCS was outstanding. 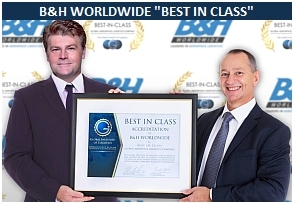 Were it our intention to identify the one freight forwarder with the most outstanding reputation the institute would without hesitation bestow that honor on QCS. FLORIAN PFAFF VP LUFTHANSA CARGO. 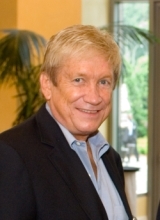 When founding the company Dieter Haltmayer built upon his 15 years of experience as freight manager for British European Airlines (BEA), British Overseas Airways Corporation (BOAC) and Air Canada. Now the company is run successfully by two generations of the Haltmayer family. The operations of the company have largely been passed onto the founder’s children: Stephan (Managing Director), Heidi (Administration) and Dr. Jennifer Melnyk (Finance). For airfreight, QCS is a reliable partner for global shipments. The high departure frequency and firm capacities with carriers ensure consistent quality and high-performance connections around the globe. When it comes to international sea freight Quick Cargo Service offers intelligent, tailor-made logistics solutions. The selection of shipping lines according to strict criteria secures a continually high level of quality. QCS has the expertise, the know-how and the supplier relationships necessary to ensure the movement of your valuable freight. Freight forwarding is at the heart of our service offering. Our offices in our global network are equipped and ready to move your shipments through the air, on the road or across the ocean. We use our considerable global buying power and relationships with key commercial airlines, shipping lines, and other providers to secure the best rates and services for our clients. At QCS we understand that air freight is a very expensive way for any company to move their product. We are acutely aware that when our customers need an airfreight solution that it must be fast, reliable and cost effective. That is why, in conjunction with our global partners, we only use the top tier airlines. This allows us to offer our clients a first class service while availing of extremely competitive negotiated rates. We proactively manage our client’s needs to achieve the best results and can handle any size shipments with ease. We can switch traffic between express, couriers or scheduled airlines or we can split shipments and manage them by air, by sea-air or by sea depending on shipment size and time constraints. Customized Reporting – PODs etc. As companies improve their processes and controls they can plan further ahead and move a lot of their raw material or manufactured goods on to the sea and away from air freight. Sea freight has been revolutionized in recent years with much better transit times and tighter controls on arrivals and departures. At QCS we believe that close control and a focused approach when dealing with the sea lines can yield substantial benefits for our customers. We have developed strong and global partnerships with a number of providers and this enables us to offer an exemplary service in ocean freight. Not only can we manage your long haul deep ocean requirements but we also specialize in offering “short” sea solutions around Europe. In today’s world, we are all conscious of the effects of global warming and of trying to reduce our carbon footprint. One way to do this is to carefully choose your ground transport provider. There are now many responsible providers who manage their routes and fleets in the most eco-friendly fashion possible. This includes providers who use double deck trailers or providers who will where possible, use smaller vehicles rather than the normal juggernauts. Best of all, are the companies who believe that one of the most effective methods of reducing cost and climate change is to get the job right in the first place. At QCS we work with a select number of providers who fall into this category. We can provide a full Pan European Groupage or Full Load Service both outbound and inbound using a hub and spoke system which maximizes the vehicle's capabilities while keeping costs down. QCS provides expert and competitive Customs Brokerage services for any type of commodity and our online EDI link with the European Customs Authorities ensures high-speed processing of all shipments. Our highly trained and experienced staff use the most ‘up to date’ technology to ensure full compliance with all customs requirements. We also provide an Intrastat/VIES service. Using our integrated door to door service allows our clients to pick from the best. We don’t restrict you to a particular provider. Our tariff has been crafted by taking the best that the integrated providers can offer and meld this into a single tariff that means we can offer consistently reliable services to or from anywhere in the globe. We manage your traffic to obtain the best value for you. We ensure that you pay the rate commensurate with your needs. For example: should your shipment increase in size from 35 kgs to 85 Kgs it would not make economic sense to use an integrator. In that instance, we switch your shipment to conventional air freight still providing the required service but at a reasonable cost. From envelopes to 70Kkgs approx. QCS provides flexible, scalable and customized Warehousing and Distribution solutions to help customers better compete through reduced operating costs and allow them to more efficiently adapt to the rapidly changing marketplace. Whether you require short or long term storage or a solution integrated with our Logistics Management or Supply Chain products, our warehousing services provide tailored solutions for companies looking for strategically located facilities for an optimal solution. Our flexible distribution solutions include comprehensive nationwide transportation be it for small packages, pallets or larger cargo. We can also provide strategic warehousing, inventory control, order processing and other value added services for efficient inventory management. Integration with our freight forwarding and customs clearance services allow customers the benefit of a single, one-stop total logistics management distribution solution. Today’s competitive and dynamic global market emphasizes the importance of an effective supply chain. Companies are taking a more meticulous approach to their Supply Chain Management and looking to optimize their inventory control and working capital. QCS fully understands the importance our customers place on effective Logistics Management. Our team of experienced professionals works diligently to produce tailored, customized solutions to increase reliability, competitive advantage and, hence, the bottom line for our customers. Our solutions are individually designed utilizing our comprehensive freight forwarding, supply chain, transportation, warehousing, and distribution and customs brokerage services. From time to time a company or individual may find themselves in a situation where they need to move extremely (!!) large and cumbersome shipments.These are not your run of the mill movements and in general, will require specialist advice and management. At XY FREIGHT FORWARDING we have the in-house expertise to take a headache out of the situation and ensure that the cargo moves in a smooth and seamless manner. It is essential that all shippers realize that all freight forwarders cargo insurance liabilities are matched to those of the carriers. 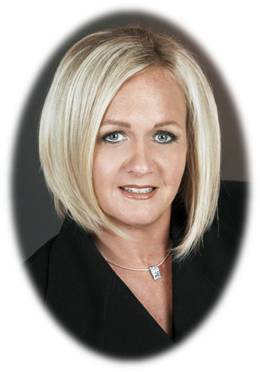 These liabilities are very low and would seldom if ever, cover the cost of the product lost or damaged. For example, IATA airline liability is subject to a limitation of $ 20 per kilogram whereas those for sea freight and road freight are lower again. Here at QCS we operate our own Open Marine Cargo Policy and can provide full transit insurance cover on request. We would suggest to any person or company shipping goods that they check with their own insurance company prior to taking out any extra cover as they may find they are already covered. 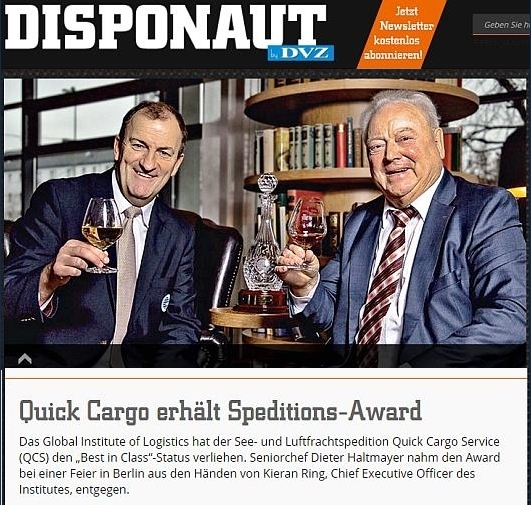 Das Global Institute of Logistics hat der See- und Luftfrachtspedition Quick Cargo Service (QCS) den „Best in Class“-Status verliehen. Seniorchef Dieter Haltmayer nahm den Award bei einer Feier in Berlin aus den Händen von Kieran Ring, Chief Executive Officer des Institutes, entgegen. Der heute 82-jährige Haltmayer hatte das in Mörfelden-Walldorf ansässige Unternehmen 1974 gegründet. Inzwischen stehen längst seine drei Kinder Stephan, Heidi und Jennifer an der Spitze des Mittelständlers. 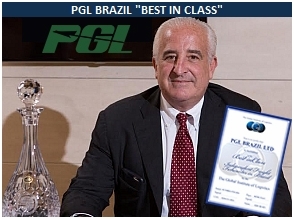 Forwarding agent Quick Cargo Service has been accredited as ‘Best in Class‘ from the Global Institute of Logistics (GIL) during a ceremony held in Berlin last Wednesday. 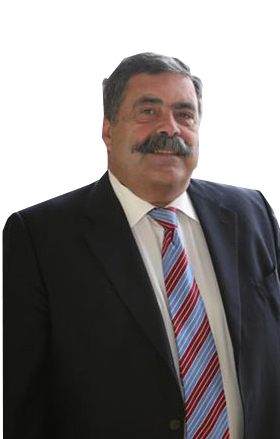 It’s a knighthood for the family-run company’s outstanding performance over many years.